Getting Along with Your Pet < What are your pets thankful for? 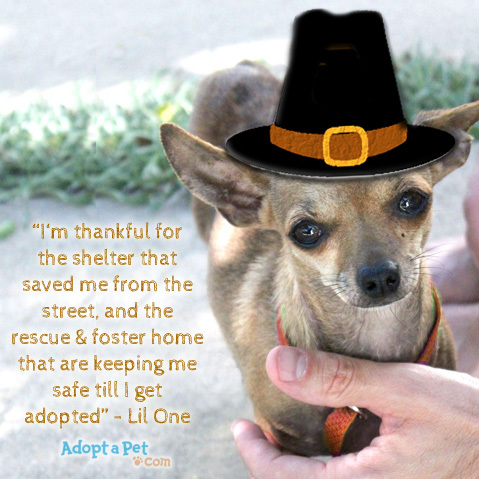 What are you and your pets thankful for this Thanksgiving? Tell us and share a photo of your pet on our Adopt-a-Pet.com Facebook page! This Black Friday adopt a black pet!